Chinese herbal slimming pills sold over the counter and via the internet have been found to contain dangerous levels of thyroid tissue. Australian path lab scientists made the discovery after a woman developed hyperthyroidism from taking the slimming pills she had bought online from a Chinese supplier. She presented to her doctor after collapsing and showed typical signs of hyperthyroidism such as palpitations, sweating, tremor and weakness of the arms and legs. 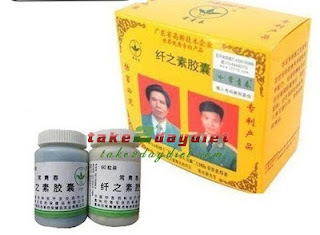 Her thyroid tests showed she had hyperthyroidism and she admitted to taking a Chinese medicine "Qian Zhi Su" for three months. Analysis of the pills showed they contained thyroid-like tissue, possibly from pigs.